Zamora, R. & A. Mellado-García. Dissecting the abiotic and biotic drivers behind the altitudinal distribution shift of a parasitic plant(under review). and are more visited by rabbits (under review). Torres‐Muros, L., JA Hódar, R Zamora. 2017.Effect of habitat type and soil moisture on pupal stage of a Mediterranean forest pest (Thaumetopoea pityocampa). Agricultural and Forest Entomology 19 (2), 130-138. Mellado A. & R. Zamora. Parasites structuring ecological communities: the mistletoe footprint in Mediterranean pine forests doi/10.1111/1365-2435.12907 (Functional Ecology). http://doi/10.1111/1365-2435.12907. R Zamora, AJ Pérez-Luque, FJ Bonet. 2017. Monitoring global change in high mountains. High Mountain Conservation in a Changing World, Ed. by Jordi Catalan, Josept. M Ninot y M. Aniz. Springer Verlag 385-413. E Doblas-Miranda, R Alonso, X Arnan, V Bermejo, L Brotons, …(2017). A review of the combination among global change factors in forests, shrublands and pastures of the Mediterranean Region: Beyond drought effects. Global and Planetary Change 148, 42-54. Mellado A. & R. Zamora. Parasites structuring ecological communities: the mistletoe footprint in Mediterranean pine forests doi/10.1111/1365-2435.12907 (Functional Ecology, in press). Mellado-García, A. & R. Zamora (2016). Spatial heterogeneity of a parasitic plant drives the seed-dispersal pattern of a zoochorous plant community in a generalist dispersal system. Functional Ecology 30: Functional ecology 30 (3), 459-467. doi: 10.1111/1365-2435.12524. PDF. 6) Herrero, A. J.Castro, R. Zamora, A. Delgado-Huertas & Querejeta, I.. Differential response of saplings of two coexisting pine species to an extreme drought event. Oecologia (2013) 173:1613–1624. PDF. 7) Herrero, A. A. Rigling, R. Zamora. Variyng climate sensitivity at the drought-linked distribution edge of Pinus Sylvestris and P. nigra. Forest Ecology and Management 308:50-61. PDF. 8) Aspizua, R., Barea-Azcón, J.M., Bonet, F.J., Pérez-Luque, A.J. and Zamora, R.J. (coords.). 2013. Sierra Nevada Global-Change Observatory. Please, e-mail me ( rzamora@ugr.es ) if you are interested in getting a reprint, copy, or additional information. Visit my Research ID profile for citation info (citation metrics). Link to best spanish researcher, here. Gómez, J.M. 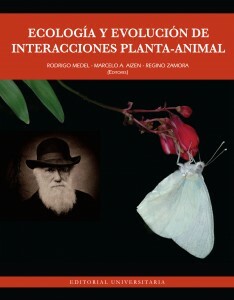 & R. Zamora (2006) Ecological factors promoting the evolution of generalization in pollination systems. En: Waser, N. & J. Ollerton (eds.) Generalization and Specialization in Plant Pollinator Systems. Chicago University Press, Chicago, EEUU. pp: 145-166. Copyright © 2009 Regino Zamora - Home Page. All Rights Reserved.